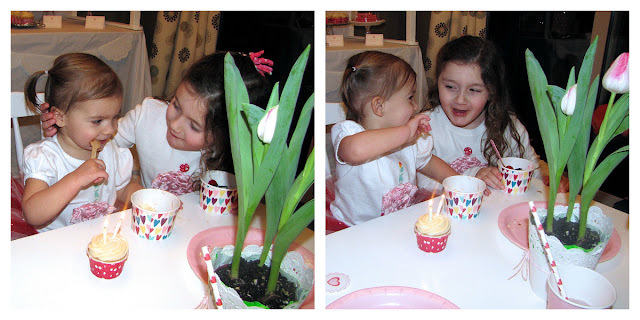 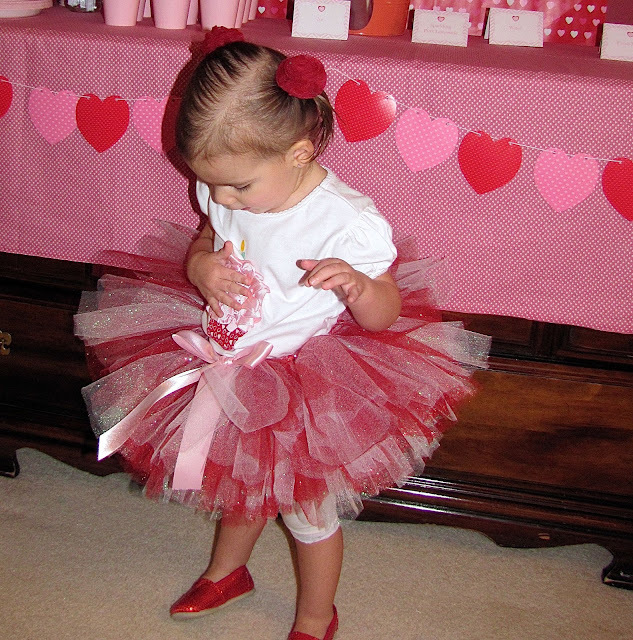 My little sweetie turned two this past weekend and since her birthday is so close to Valentine's Day I decided to throw a Sweet Treats Valentine party for her. 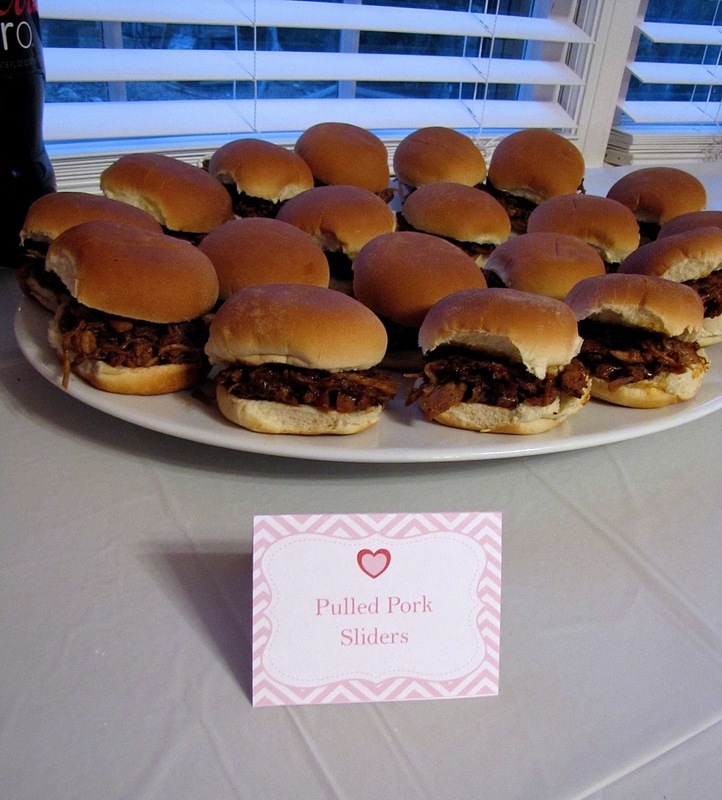 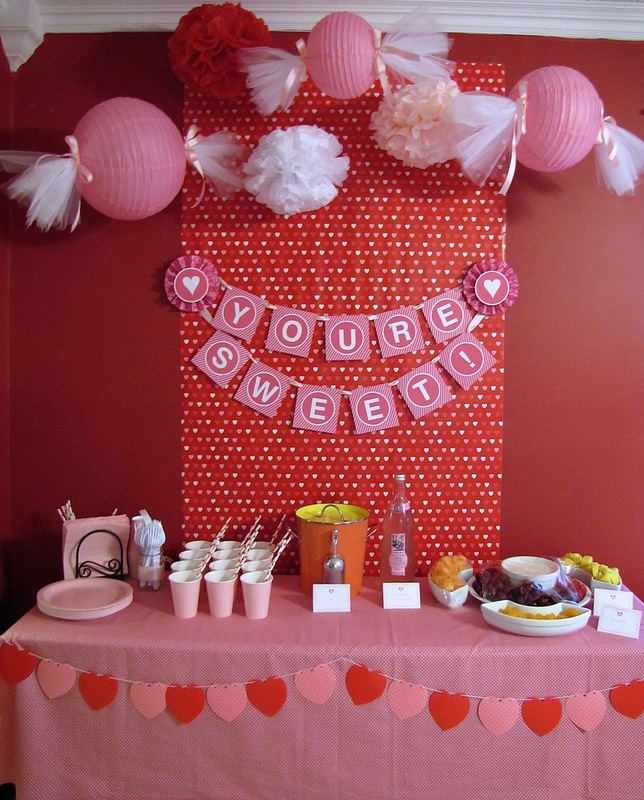 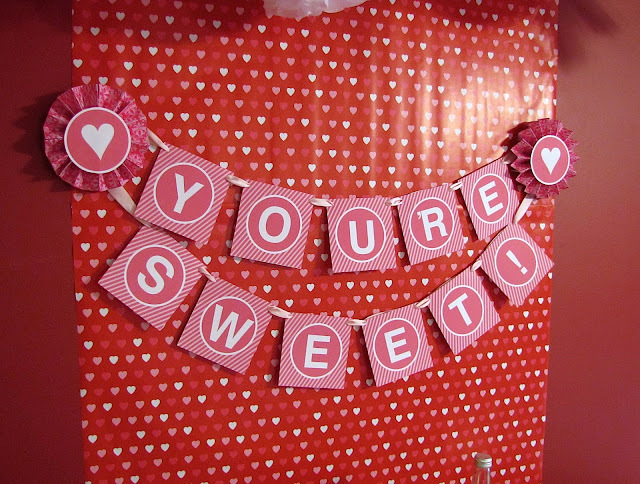 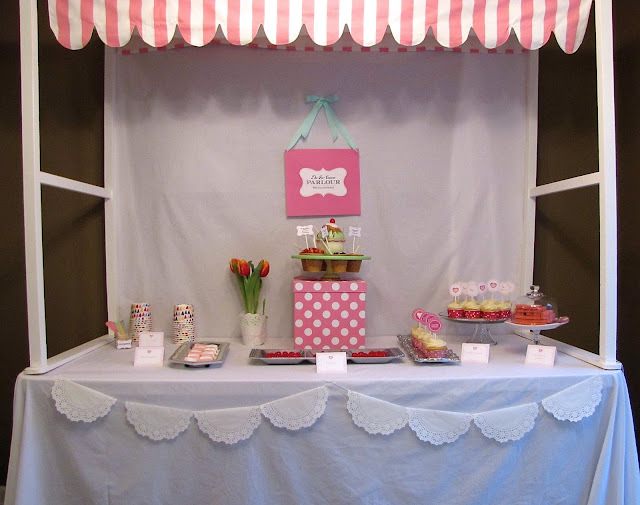 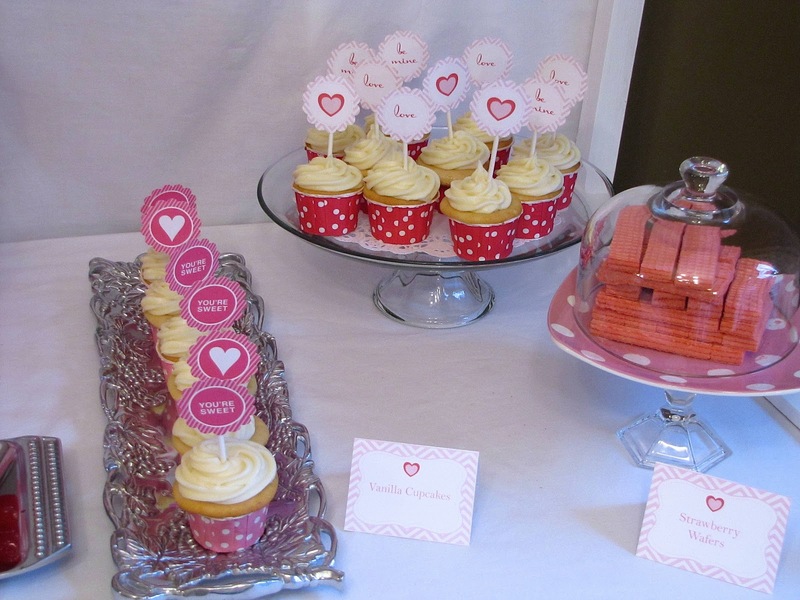 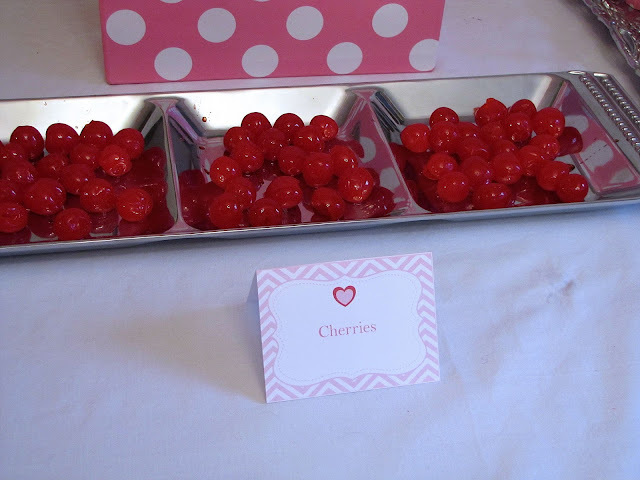 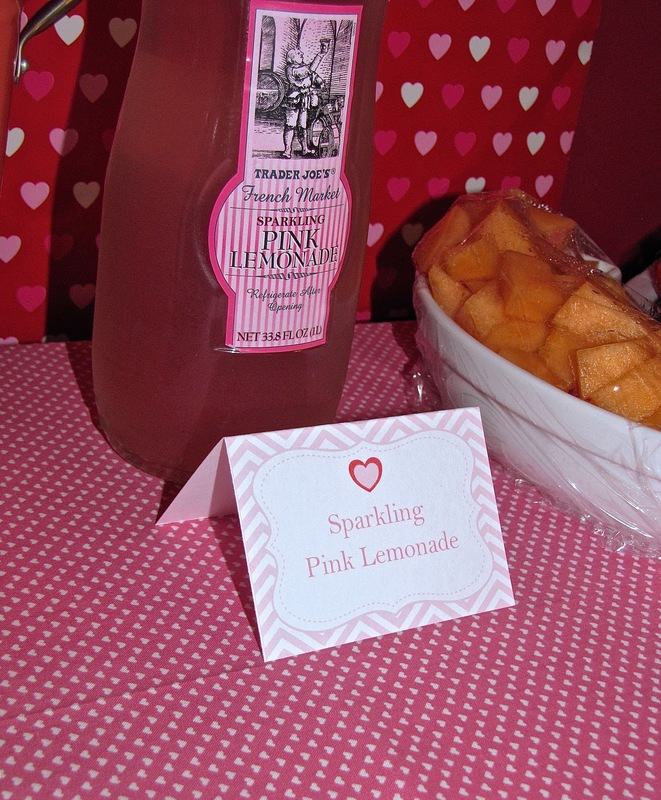 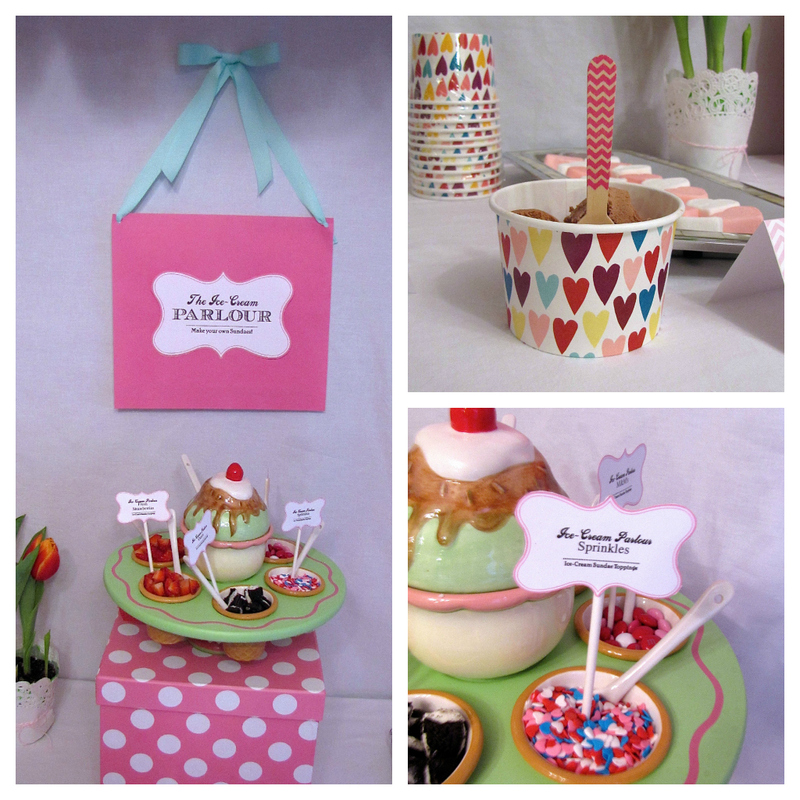 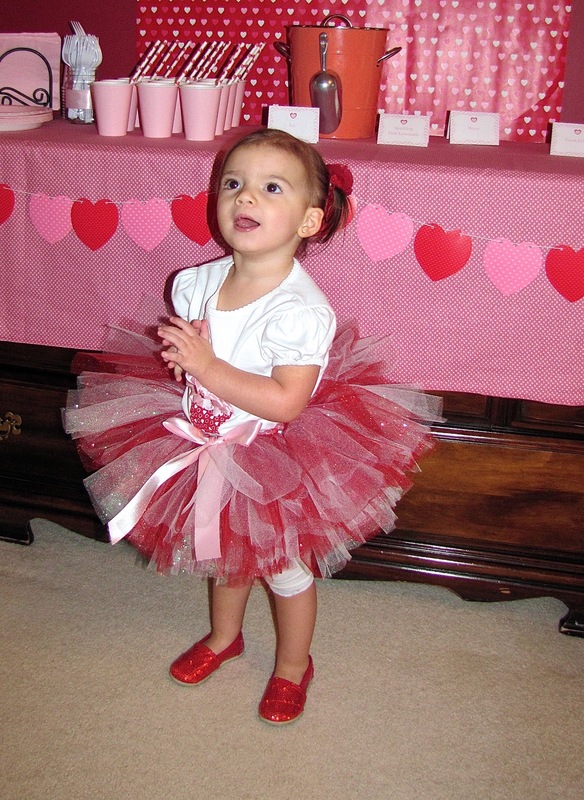 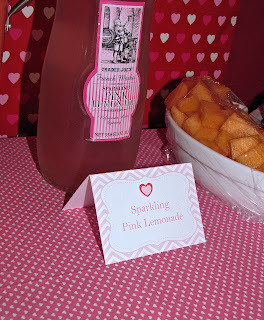 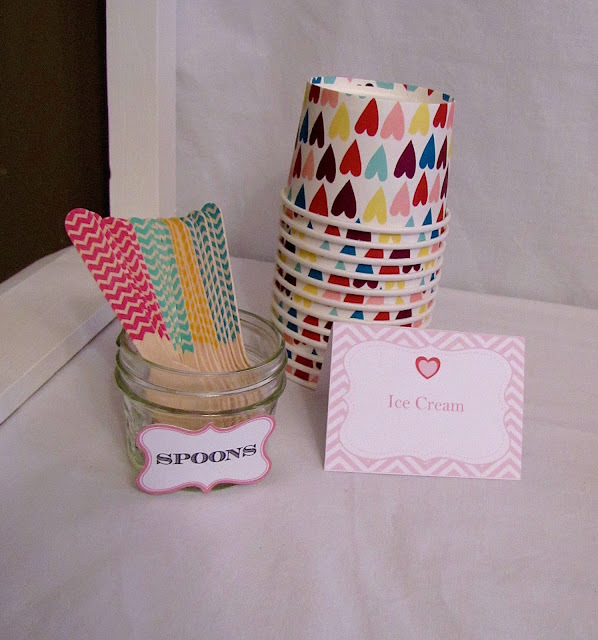 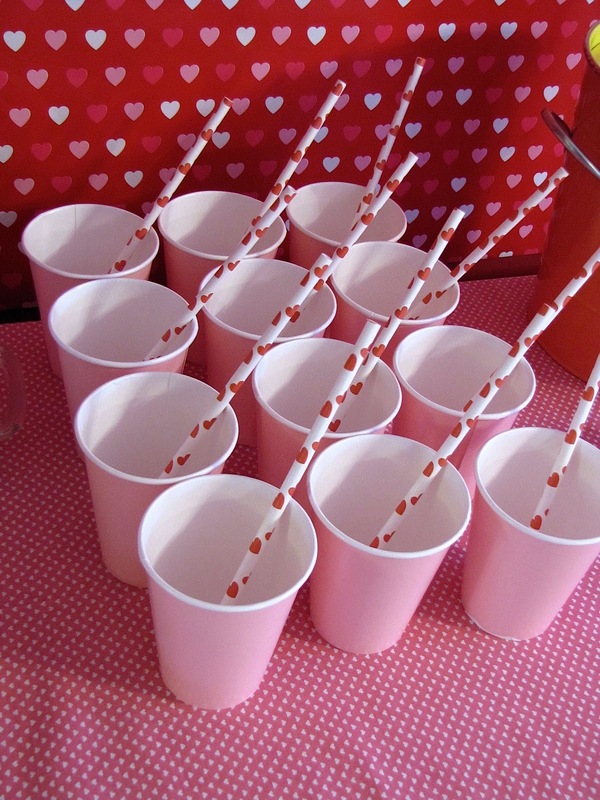 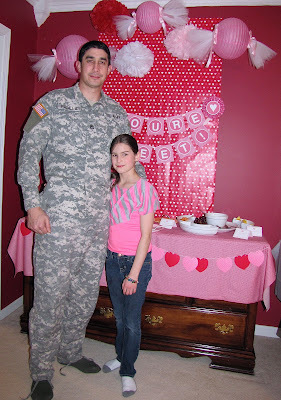 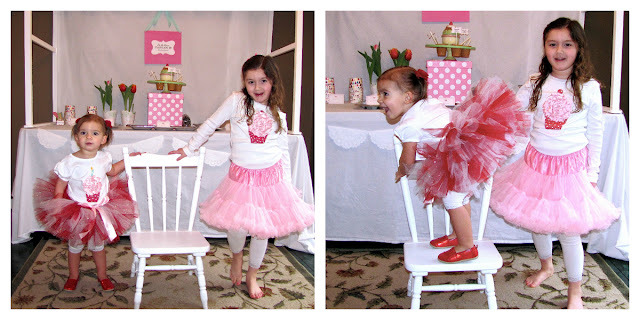 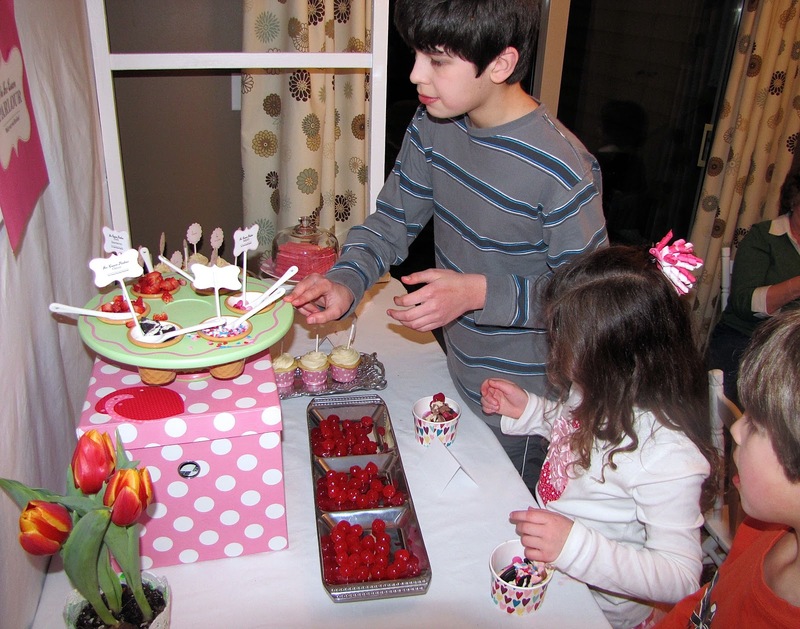 I had been wanting to throw a little Valentine's Day party for the girls and everyone in the family loves sweets so it was the perfect theme for her party! 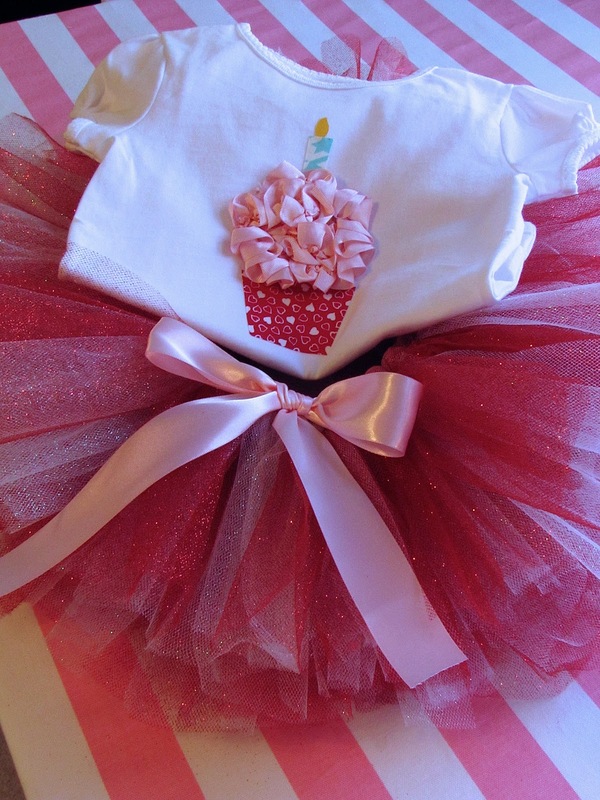 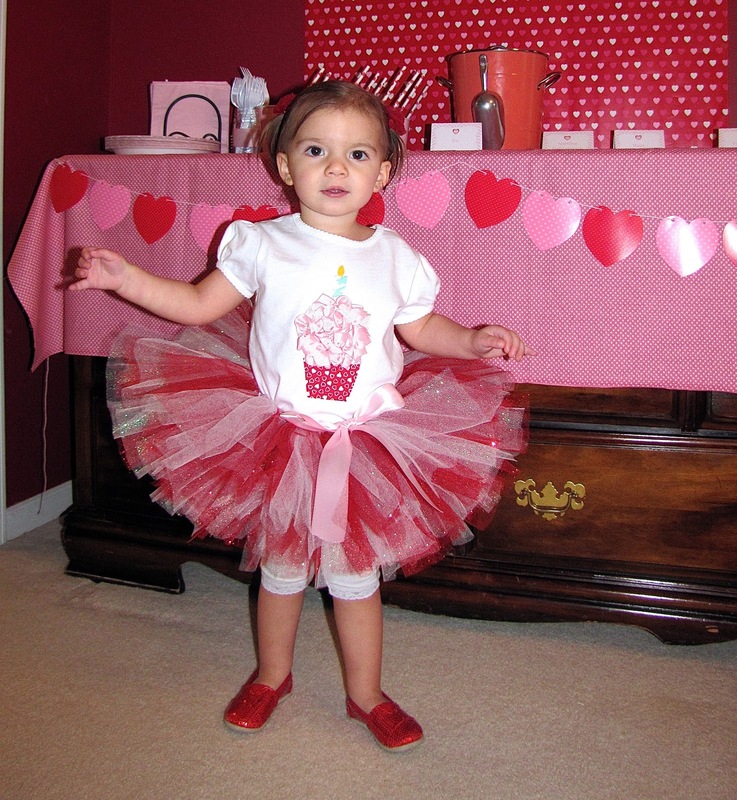 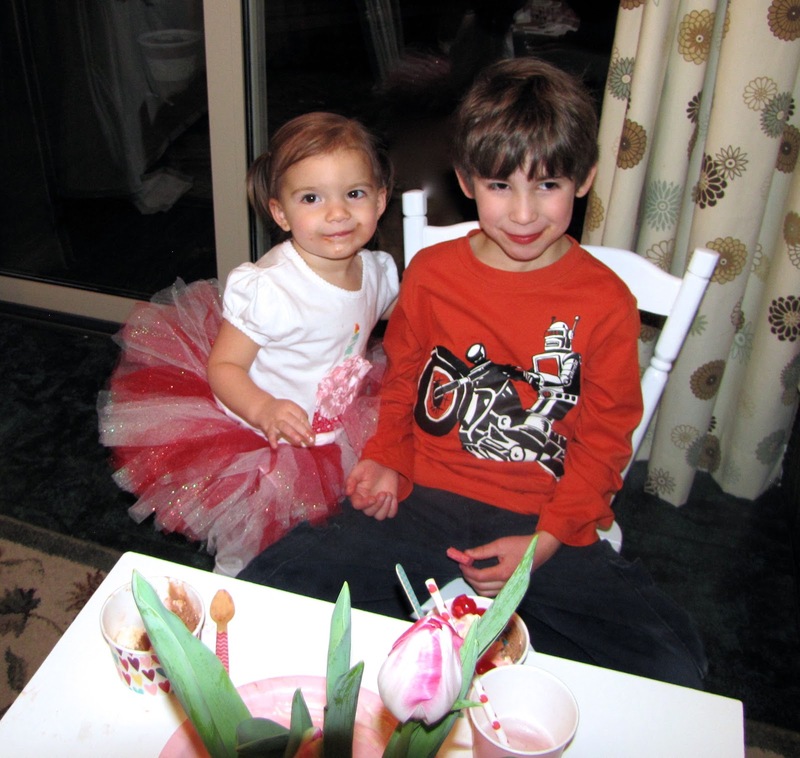 I made her tutu and cupcake shirt and will be sharing the tutorial for her shirt in the near future. You can view the tutorial for a tutu here. 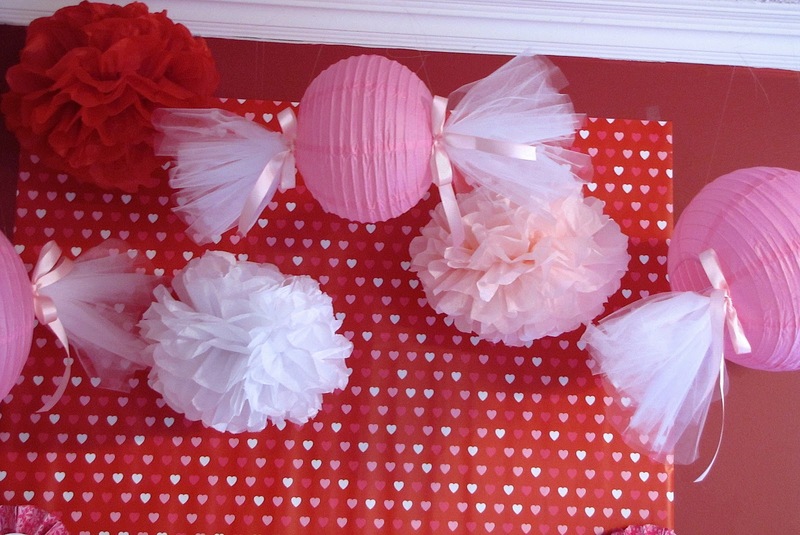 I made these little candy wrapper decorations out of paper lanterns. 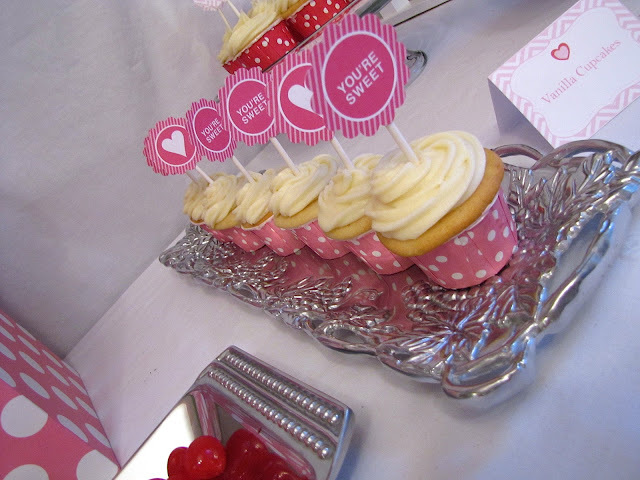 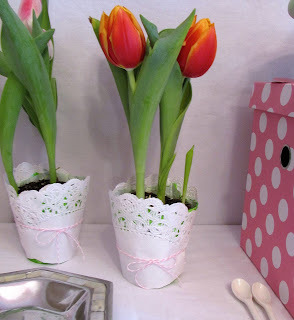 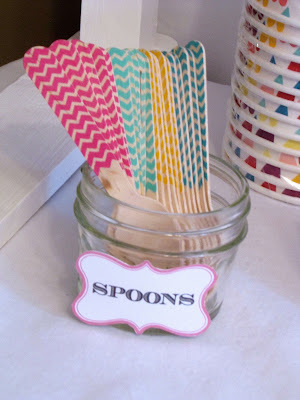 You can view the tutorial for these at Icing Designs. You can view the pom pom tutorial here. I set up a little ice cream station with toppings so everyone could make their own ice cream sundaes. 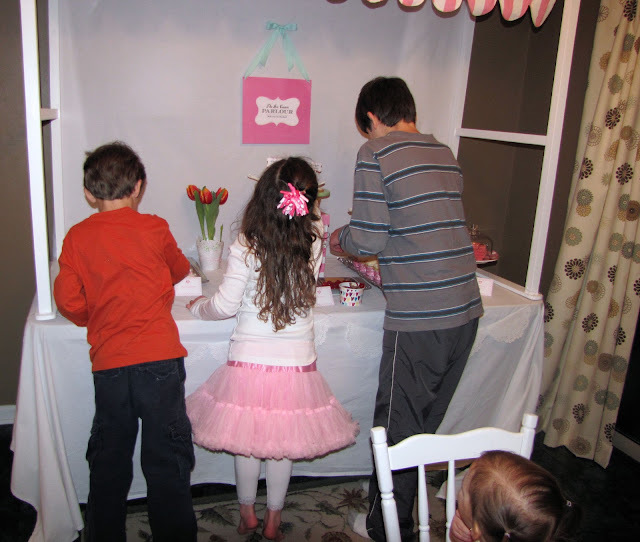 This was a big hit with the kids!! 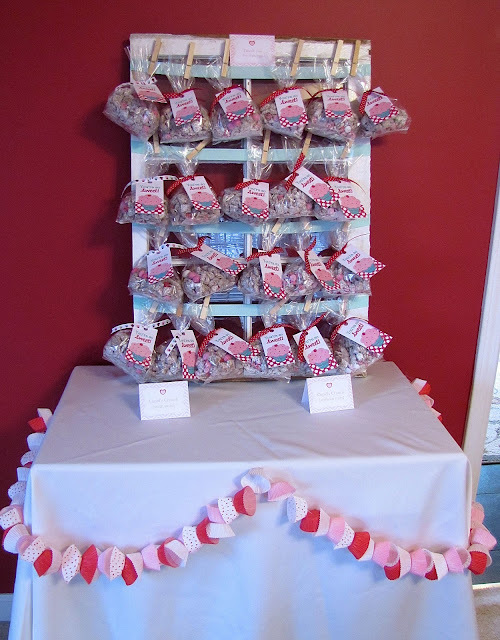 Treat bags for the guests. 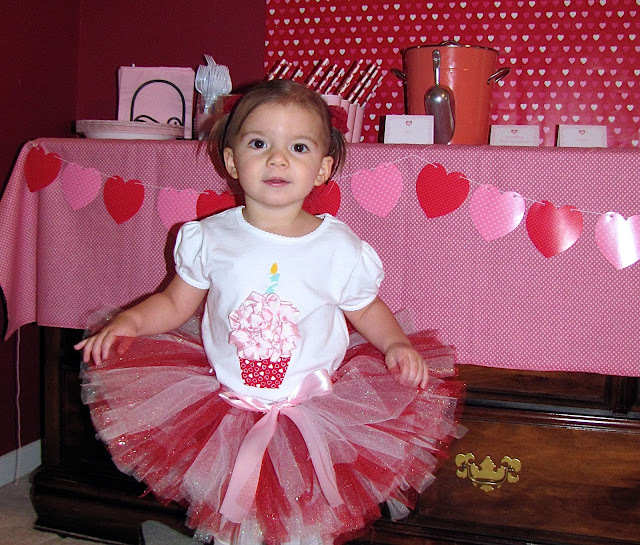 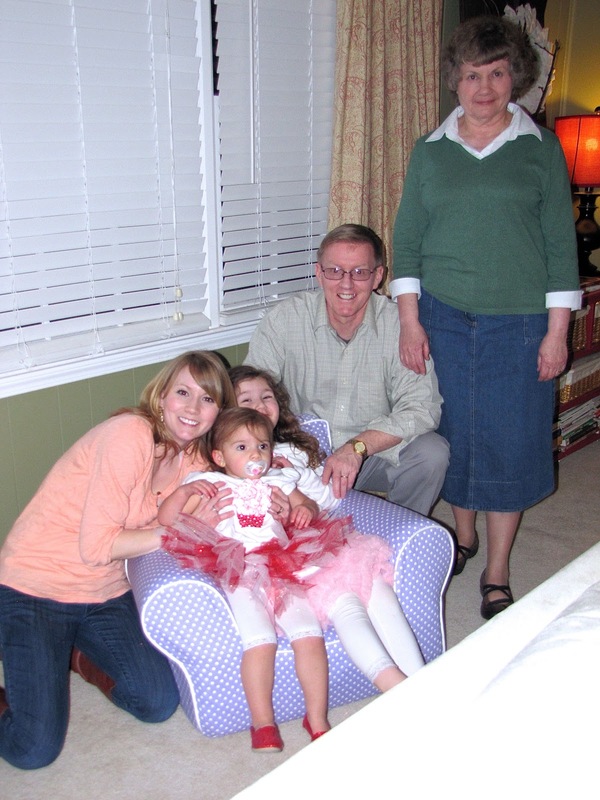 Happy Birthday to my little sweetie!